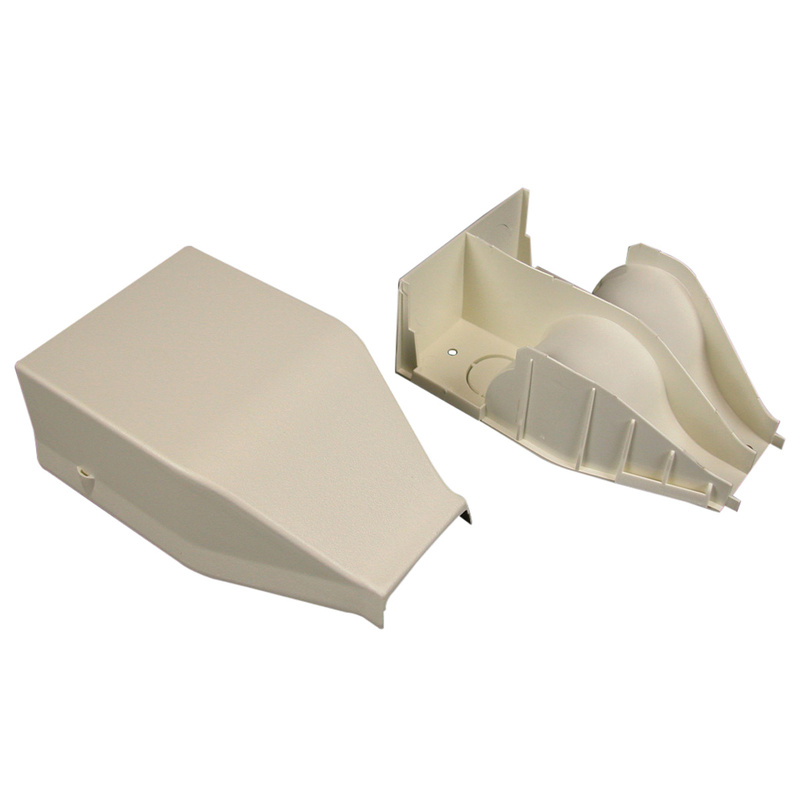 Wiremold Non-metallic radiused divided entrance end fitting in white color, is perfect for use with 2300 series 1-Channel non-metallic surface raceway. This fitting has dimension of 6-1/2-Inch x 4-Inch x 2-3/16-Inch. It has 1/2-Inch, 3/4-Inch and 1-Inch knockouts. Fitting is UL listed and RoHS compliant.